This morning the Fed Ex man showed up with the goods. I’m at home working in the shop this week so this was great timing. 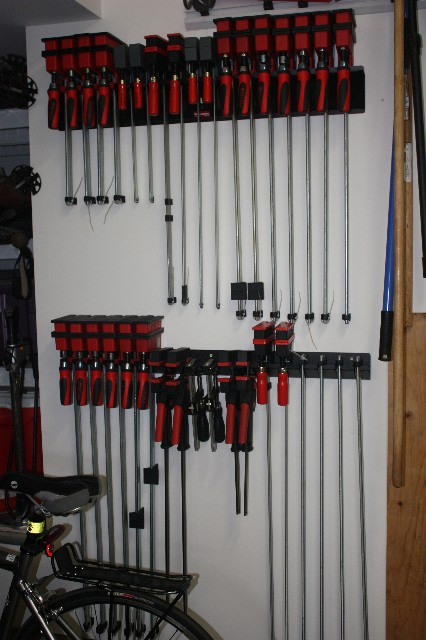 Here are all the clamps and the list of what arrived is below in the You Never Have Enough link. Arrival: The clamps arrived in good shape, which is quite a feat these days since a lot packages arrive at the house these day looking like they’ve been through a gorilla suitcase commercial. Handles: There have been a lot of comments about the smallness of the handles. So I compared it to my large F-style clamp. The Jrs have the same diameter handle but shorter. The Uniclamps have small handles compared to the F style. 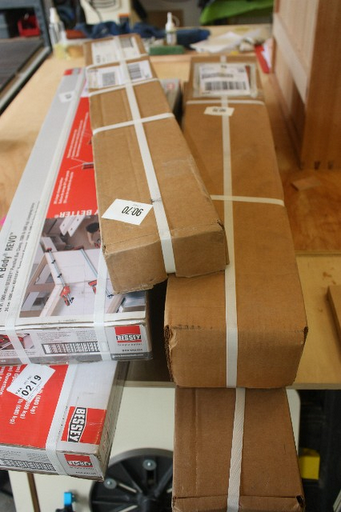 I’ll be using these later tomorrow to put together my cabinet door, so we’ll see if this is a problem. Weight – I personally like the weight of the Jrs. 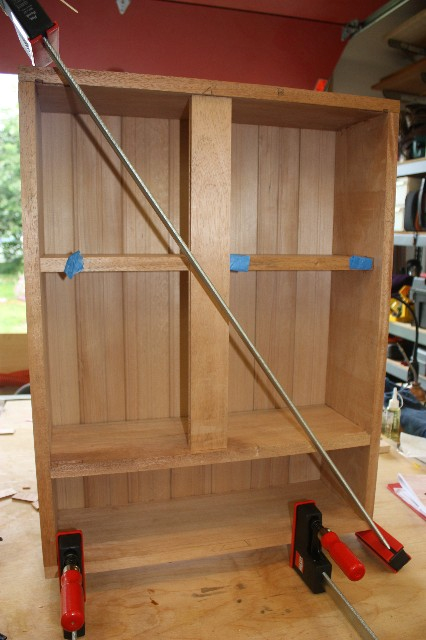 When I have to heft up a 40″ Kevo clamp to diagonally adjust a cabinet, its pretty hard to manage. I tried this out with a Jr and found it much easier. Bar height – the big Kevos have a different height than the Jrs, so no mixing and matching if you need a similar bar height. Staying Open – This is the one thing that I find really annoying about the big Kevos. If you stand them on their head the handle section goes rocketing down the bar .. sometimes on my thumb. Staying open would really help when, for example, you are trying to laminate a workbench top and you’re trying to stack the next section on its side. It looks like the Jrs will stay open .. but not the Uniclamps (???). Uni is open in the picture, but the handle base went rocketing down as soon as I touched it. 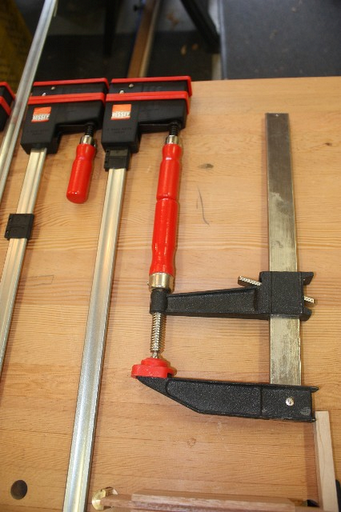 Clamp Quality – The clamps all looked well made except for two of the Jrs. 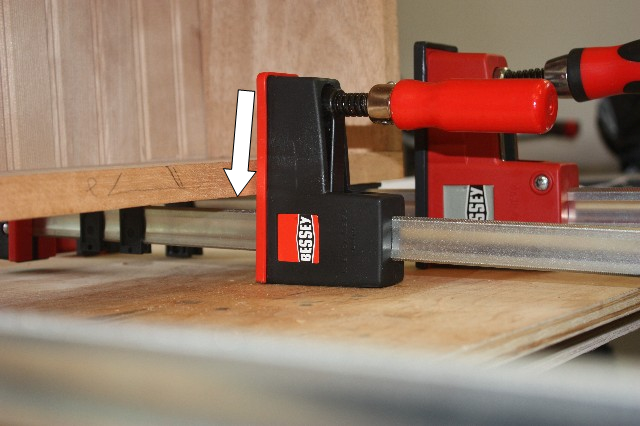 Take a look at the gap between the clamp beds. I’ll be measuring to see if the clamp pads are vertical to bar, but something looks amiss her. 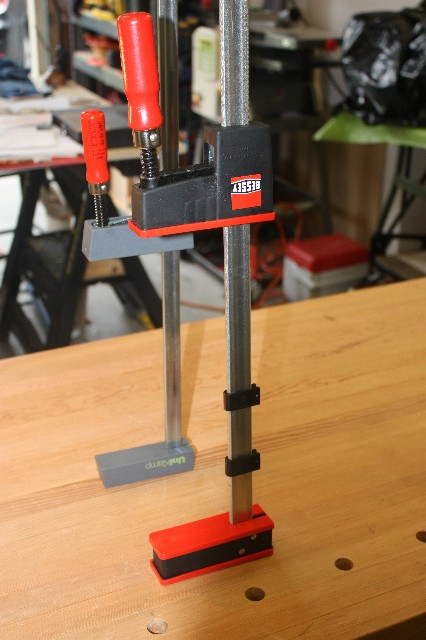 BTW – I now have a full clamp rack. Thanks Bessy! .. for filling it out for me. Another thing I like better about the Jet parallels is the positive bar lock. They have a release lever and will stay in place until you engage it. 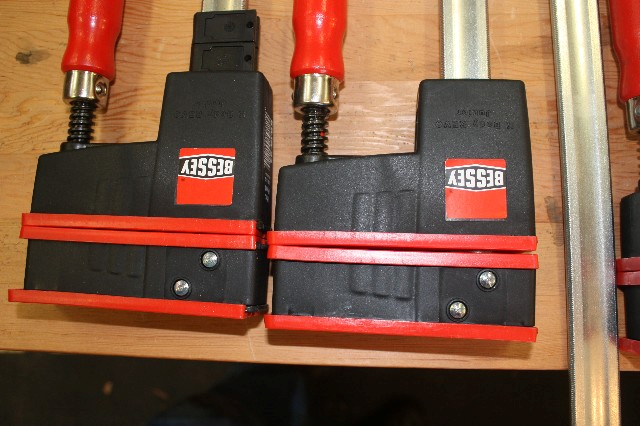 Btw, I DO love my Bessey F clamps. 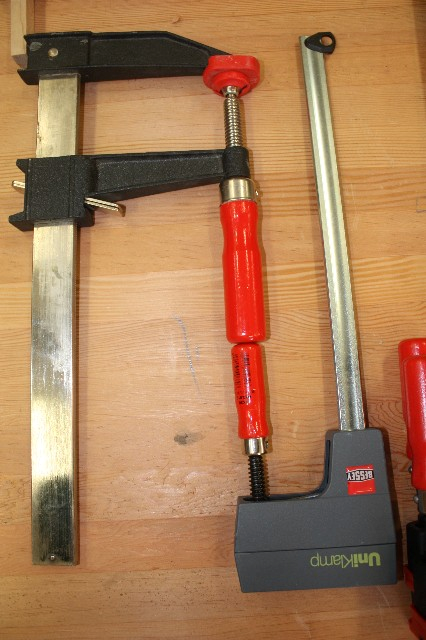 But, I find the handle size irrelevant because you don't seem to need as much pressure on the F clamps. Looking forward to your full review. Nice collection you have there. So do you have enough now? Previous Previous post: Today was groove makin’ day ..